"He drifted about with his head full of myths, always at least half lost in some otherland of story. Demons and wingsmiths, seraphim and spirits, he loved it all." From the moment I cracked this book's spine, I expected great things. 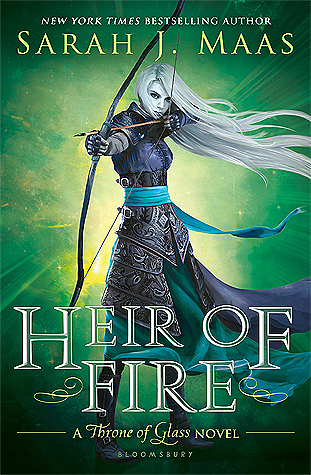 I was absolutely enchanted by Laini Taylor's Daughter of Smoke and Bone series, and I knew that Taylor would impress again in this new novel. 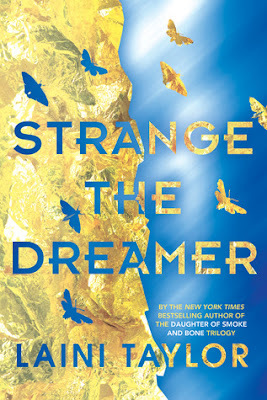 Strange the Dreamer is undoubtedly unlike any book you've ever read before. The originality of Taylor's story is staggering, and like always, she weaves the tale with a poetic sense of magic. Seriously, I was dumbfounded by the mysticism of this book's world, and the characters were beautifully rendered. I made an effort to learn very little about Strange the Dreamer before picking it up. I wanted to be entirely surprised by the story, and I most certainly was. Lazlo Strange lives in a world unlike any other, and Taylor does an exemplary job of drawing out the suspense and wonder. As Lazlo dreams of discovering the Unseen City, so do we. As he comes up with impossible guesses about its secrets, so do we. Weep is unlike anything I had imagined, but honestly, I expected no less from Taylor. It's a world rich with imagination, as well as deep and lovable characters. Something about Taylor's novels always makes me want to pick up a pen and start drawing. The desire to depict her perfectly sculpted characters is so strong, almost as if I'm gazing a painting instead of a novel. And oh my goodness that ending. IT was both cruel and perfect. I cannot wait to get my hands on the next book, WHICH WILL NOT BE OUT FOR AGES. Honestly, I don't have that much to say simply because the story was everything I hoped it would be. The characters, the world, the story: every single aspect of Strange the Dreamer is breathtaking. If you haven't already fallen in love with Laini Taylor, then you are seriously missing out.